ASPHostPortal.com takes the advantage of features in Windows 2008 R2 and IIS 7.5 and we configure our server platform for increased security and reliability. 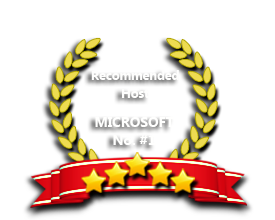 We are completely confident in our windows hosting quality and customer service. Anyone is welcome to come try our FREE Trial Hosting. If the service does not meet your expectations simply cancel before the end of the free trial period. No Risk!! Why wait longer? Our Windows Cloud Hosting fully supports IIS 7.5 hosting. You are more than welcome to try our Free Windows Cloud Hosting before you decide to buy. You can get your Free Cloud Windows hosting account up and running within the next few minutes.